Coming around the corner from Joe Kennedy’s memorial marker when heading to Lee’s mansion or the Crook’s Stairs, there’s a shiny black marble marker that catches your eye. 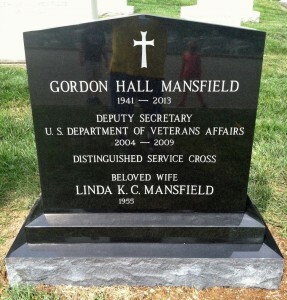 Gordan Hall Mansfield, a wounded Vietnam veteran who later served as Deputy Secretary of Veterans Affairs, now rests next to Robert McNamara, former Secretary of Defense during the Vietnam War. Mansfield served as Veteran Affairs chief from 2004-08 after nominated by President George W. Bush. Earlier, Mansfield was executive director of the Paralyzed Veterans of America for 11 years after eight years with the organization. Mansfield served two tours in Vietnam. He was wounded during the 1968 Tet Offensive while serving as company commander of the 101st Airborne Division. Mansfield suffered a spinal injury, but refused to be evacuated until his unit’s injured men were first moved that earned the Distinguished Service Cross and Bronze Star. 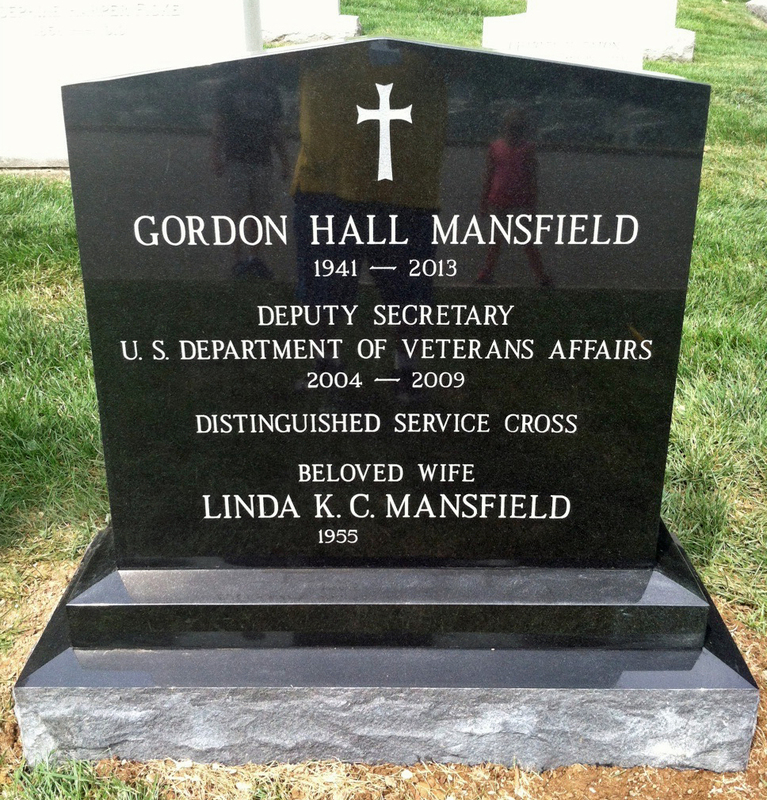 This entry was posted in Arlington National Cemetery and tagged Arlington National Cemetery, Best Washington DC walking tours, Deputy Secretary of Veterans Affairs, Gordan Hall Mansfield, Photo by Rick Snider. Bookmark the permalink.